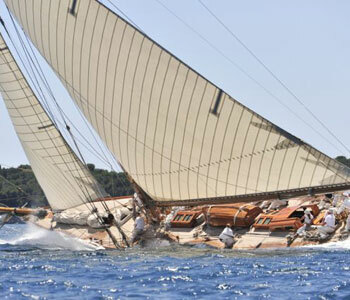 For the sixth consecutive year, Les Voiles d’Antibes opened the season of the Panerai Classic Yachts Challenge. Boasting very favourable weather conditions that were slightly different eachday, precision adjustments and tactical analysis of the water of Antibes Juan-les-Pins often took precedence over the power and velocity of the yachts. With the eight classes fairly balanced, victory was highly contested. In the Big Boats class Mariquita and Mariska fought hard, with Mariska clinching victory again this year on the very last day. View our gallery of the competition.